Lord Mayor Magid Magid - officially opens the series of talks. Bryce Evans, Liverpool Hope University. Marsha Smith – founder of Souper Kitchen. Dan Woolley – Feedback Global. Louis Pohl – Foodhall Project. followed by a Harvest Feastival communal meal. 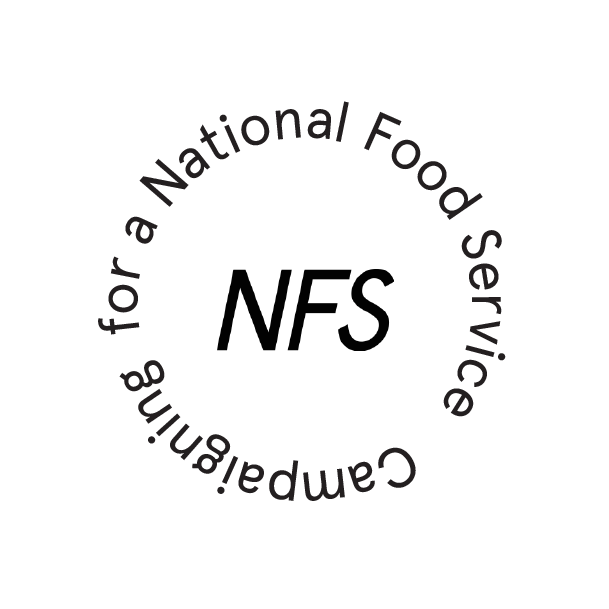 The National Food Service is a new idea. A public system emerging between the networks of social eating spaces across the country. This symposium is the first step in growing a campaign for individuals and groups who share the aim of creating a national food service in the UK. During the festival of the mind, we will develop the concept through a symposium of free talks, meals and events, inviting experts from divergent universities, people active in the food sharing movement across the country and citizens who are passionate about the topic to come and think about strategies. What can we employ not to defend public services, but to collectively construct an entirely new one? The National Food Service. To launch the first National Food Service Symposium, which forms part of this year's Festival of the Mind, we will be joined ceremonially by Sheffield’s now famous Lord Mayor Magid Magid. We will then have discussions from four pivotal speakers who are key figures in the social eating movement today, and Dr Megan Blake will act as the master of the ceremony introducing the talks and topics. Marsha Smith is working on regional social eating planning across the north of England, now a researcher in the University of Nottingham she will share her research and insights in this area. Dan Woolley will be joining us from Feedback Global, a group with a focus on intergovernmental research and implementing campaigns to lower food waste. Bryce Evans, a historian from Liverpool hope University will give us insights from the historical context of the movement and will talk in particular about the National Kitchens. After the talks and discussion, we will have a meal cooked by volunteers in the community which will showcase the concept in action and lead to discussion. Because the foodhall is a public community project any citizen from Sheffield or beyond is invited to volunteer, help cook the meal and participate in the creation and running of the event. Your active involvement is what makes foodhall special. This is one of a series of events so if you would like to contribute to the symposium in any other way please contact us through the Foodhall facebook page. "On the eve of the Harvest Moon we celebrate our own harvest festival in true Foodhall fashion. We’ll be harvesting from surplus food supplies and our own vegetable patches to cook up a love-letter to vegetables that both your mouths and bellies will be thankful for. Menu to be confirmed, but expect (mostly vegan): roast things, stuffed things, pies and cakes in our vegetable extravaganza. Summer may be ending, but the good food has only just begun." NFS: Robin Dunbar and Megan Blake.